Need More Time? Now You Have It! Errands. Work. Meetings. Groceries. House Cleaning. Dinner. The list goes on and on. Today's working professionals don't have enough time in the day to do all the things that need to be done. 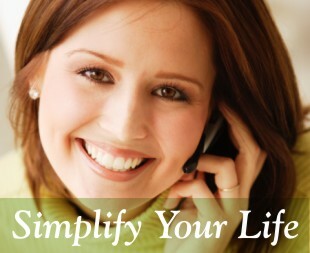 At Your Service, LLC of Williamson and Davidson counties was created to simplify your life! We are here to do all of the things that you can't or don't have the time to do. Need someone to clean the house? Pick up the groceries for dinner? Meet the cable guy? Drop off an important shipment before closing time? No Problem! Need any of the services listed below? Click on any of them to learn more.